Sometimes the hardest part of a hike is obtaining the permit, but the crowd-free experience in these pristine destinations is worth the effort. Last May, three friends and I hiked to Havasu Falls, an awe-inspiring emerald-green waterfall in the Grand Canyon. Almost as special as the place itself was the lack of crowds: A camping permit system helps regulate the number of daily visitors, so at times, it felt like we had the place to ourselves. But those coveted permits didn’t come easy—four months earlier, my hiking buddies and I were glued to our computers trying to snag ours; the campground usually sells out for the year in just a few hours. After 15 minutes of relentlessly refreshing browsers and redialing numbers, I scored. I literally won the lottery! Many hiking trails and outdoor adventure destinations in the United States have adopted similar crowd-limiting permit systems to improve safety for visitors and reduce the environmental impact of tourism. And while the system is somewhat of a hassle, trust me, it’s worth the trouble. The following are six of the most epic hiking experiences in the country, all of which require permits. In most cases, hiking with a smaller group will improve your odds, since everyone will need a permit. You’ll also better your chances if each person requests permits for the entire group. But there are some site-specific things you’ll need to know, like weather considerations, costs, and trip-length restrictions, in order to best strategize. Only 20 people per day are allowed to visit The Wave in Coyote Buttes North. 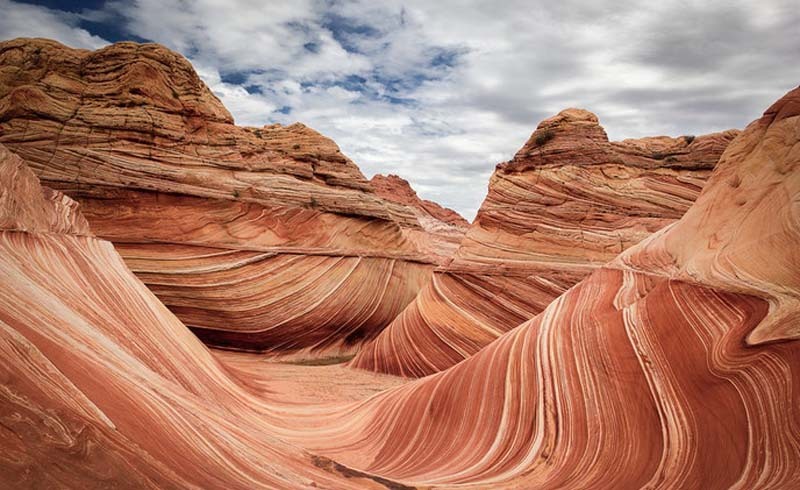 “The Wave” is a famous, swirling Mars-like sandstone rock formation in Coyote Buttes North, part of the Paria Canyon–Vermilion Cliffs Wilderness that spans 112,500 acres of northern Arizona and southern Utah. There are 20 permits available each day for Coyote Buttes North; half are given out in advance through an online lottery and half are awarded to walk-ins. Permits are drawn on a monthly basis, three months prior to the permit date. For example, all permits for May are drawn on February 1, so those hoping to hike in May must enter the lottery sometime during the month of January. Recipients then have 14 days to pay for their permits. According to the Bureau of Land Management (BLM), 161,467 people applied for the 7,300 available permits in 2017; that works out to a 4.5 percent chance of obtaining a permit. However, the agency is planning to increase the permit quota after studying wilderness concerns and asking for input from the public. Hopefuls can apply for last-minute permits in person at Grand Staircase–Escalante National Monument Visitors Center in Kanab, Utah, from 8:30 to 9 a.m. MST. The drawing takes place at 9 a.m. and permits are awarded for the following day only. There are no obvious markers or designated trails in Coyote Buttes North—and there is no cell signal—so the permit comes with a detailed photo guide with GPS points for the area. Be aware that flash floods are a threat in July and August. It costs $5 to enter the lottery online and winners pay a $7 fee for the permit. Only open to private vehicles four days each year, Denali Park Road is one of the most epic road trips. 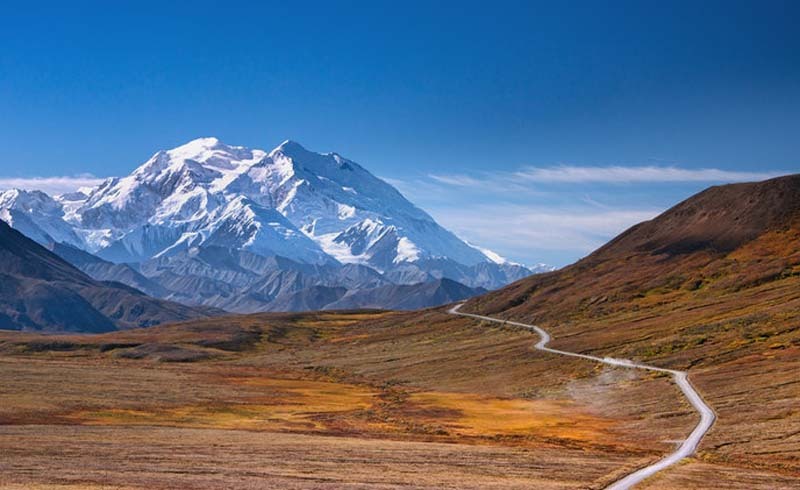 The 92-mile Denali Park Road slices through breathtaking Denali National Park, offering views of taiga forest, high alpine tundra, and even the iconic, snowy Mount Denali, North America’s highest peak, towering at 20,310 feet. 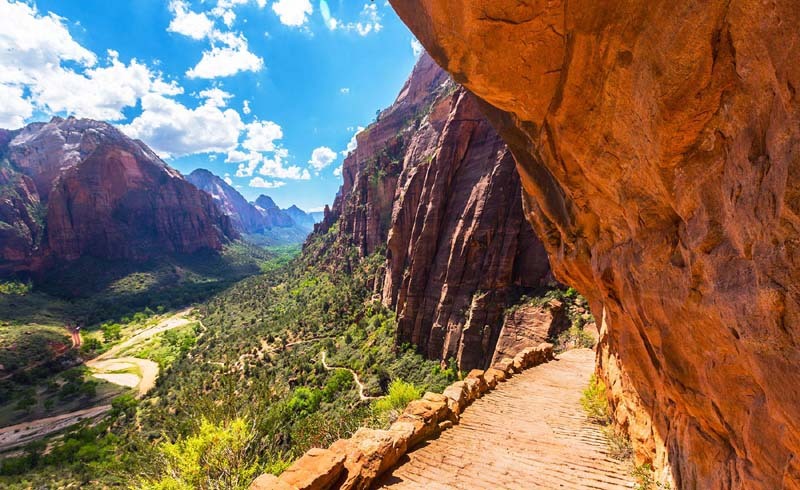 The road is closed to private vehicles except for four days every September when it opens to the permit-holding public, giving them crowd-free access to the trailheads for several short hikes. The event usually begins the second weekend after Labor Day. Interested road trippers can enter the permit lottery from May 1 through May 31. Winners are announced in mid-June and can then purchase a single, day-long permit to drive as far as the weather permits. In years with mild winters, it’s possible to drive the entire road, but if there’s early snow, it might be difficult to get beyond mile marker 15. There are only 1,600 annual winners (400 per day), and as Recreation.gov receives approximately 11,000 applications each year, the odds of winning are usually about one in seven. Lottery registration costs $15, and winners must pay an $25—in addition to the $15 park entrance fee—to drive the road. 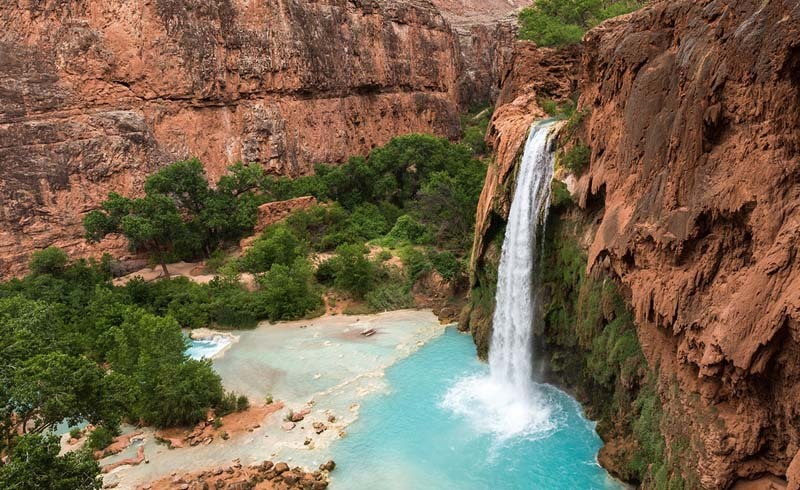 It’s a 10-mile hike to reach Havasu Falls and its nearby campground. Havasu Falls is one of five waterfalls on the Havasupai Indian Reservation, which lies in the Grand Canyon. The 10-mile hike to the falls and campground is relatively easy—the hard part is securing an elusive permit. Not even avid hikers are permitted to tackle Havasu as a day hike, and because the campground only accommodates 350 people daily, those spots go quickly. Permits go on sale on February 1 each year; reservations can be made by phone or online through the Havasupai tribe’s website. 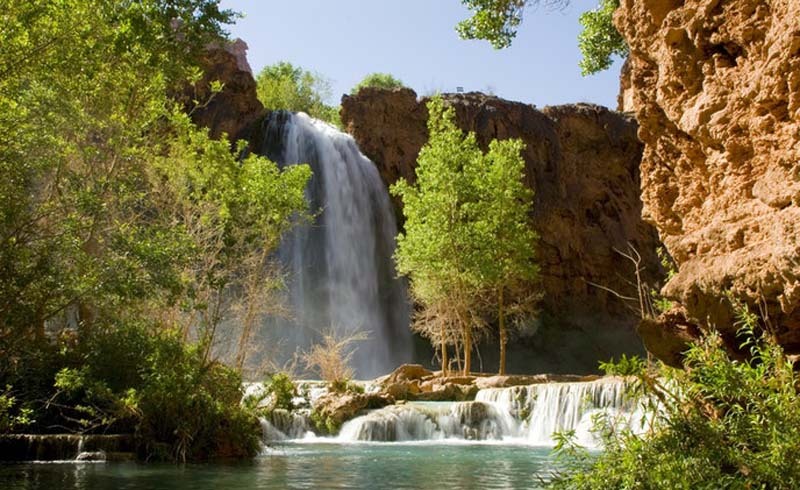 If camping isn’t your style, the Havasupai Lodge is an eight-mile hike from the trailhead, in the town of Supai. Havasu Falls is an additional two miles from there. And while the campground closes in December and January, the lodge will be open year-round starting in 2020. Lodge reservations for 2020 open on June 1, 2019, and are not as competitive as the campground, which is more popular due to its proximity to the falls. Try to avoid the monsoon season between June 1 and September 30. A flood in July 2018 closed the trail for almost six weeks. Permit rates for this year will be released in January. 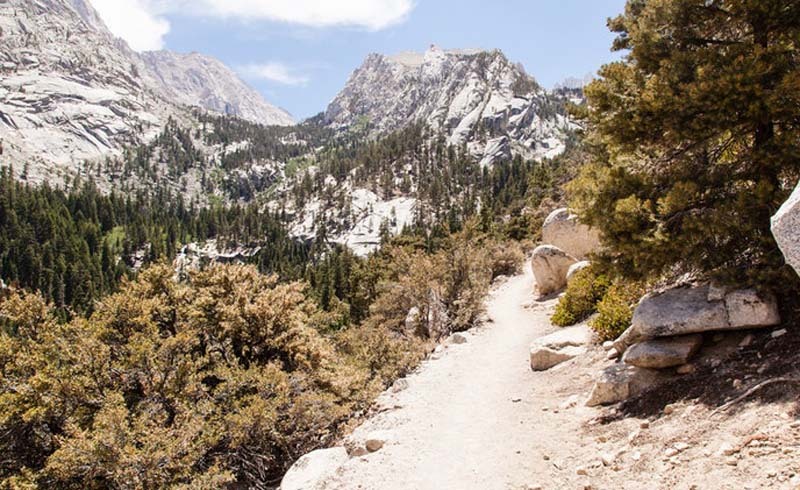 The highest mountain in the lower 48 states, Mount Whitney is popular with both day hikers and overnight campers. The 14,505-foot Mount Whitney, which lies on the edge of Sequoia National Park and Inyo National Forest in California, regularly attracts adrenaline junkies because it’s the tallest mountain in the lower 48 states. The most popular trail to the summit climbs over 6,000 feet in just under 11 miles. Even day hikers need permits on the trail (and others in the area), and in peak season—May 1 to November 1—they’re only available through a lottery system. The system currently allows 100 day hikers and 60 people on overnight trips daily. To enter, log in to Recreation.gov between February 1 and March 15. Choose your desired dates, enter the group size, and indicate whether you want a day-hike or overnight permit. You can list up to 15 alternative date choices per application. Results are released on March 24. In 2018, 37 percent of the 16,077 applicants won their top trip choice. Know that the trails are not clear of snow until after July and that technical climbing gear is usually not needed between mid-July and early October. There is a $6 fee per application; winners must pay an additional $15 per person before April 30 to claim their spots. 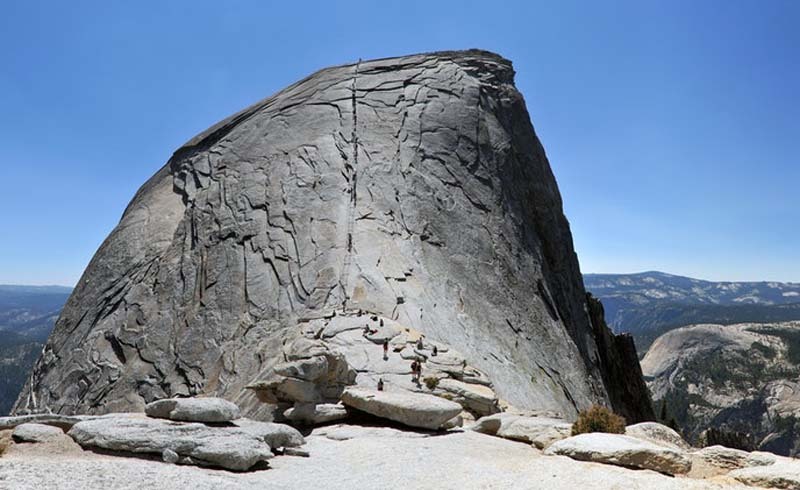 For four-and-a-half months of the year, a system of cables enables nonclimbers to reach the top of Half Dome. Half Dome is the star of the Yosemite National Park skyline and one of the park’s biggest challenges. The 14- to 16-mile hike gains 4,800 feet of elevation and rewards the effort with panoramic views of Yosemite Valley and the High Sierras. The most infamous part of the hike is a set of cables that allows visitors to scale the final 400 feet to the summit without rock climbing equipment. The cables go up each year on the Friday before Memorial Day and are removed the day after Columbus Day. When the cables are up, every hiker must have a permit, most of which are awarded via a preseason lottery that runs March 1-31. Winners are notified in mid-April. A limited number of permits are available two days in advance throughout the season via a daily lottery on Recreation.gov. There are 225 permits for each day available through the preseason lottery and about 50 for each daily lottery. During the 2017 season, 19 percent of the 26,963 applications for the preseason lottery were successful; applications for weekdays had a higher success rate than those for weekends. Roughly 25 percent of people who apply for the daily lottery win. Backpackers should request a Half Dome permit with their wilderness permit through a separate process. The preseason lottery costs $6 and there is a $10 permit fee for all winners. If you want to camp at the bottom of the Grand Canyon, you’ll need to snag a permit first. 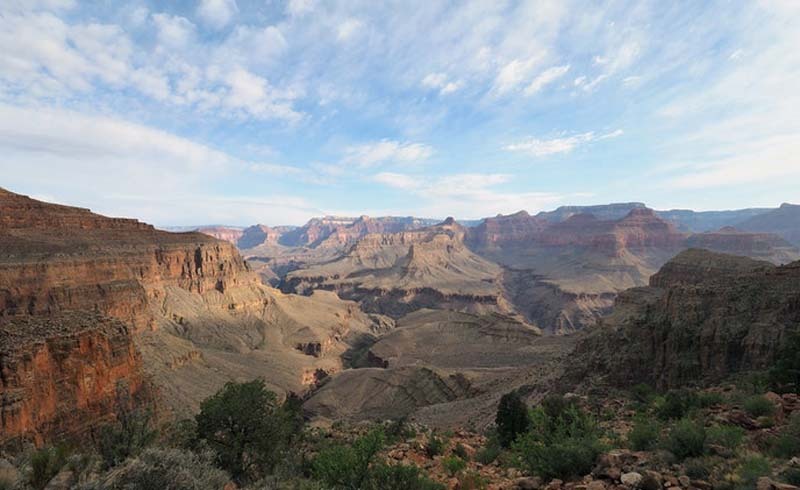 All backcountry trips that require an overnight in the Grand Canyon require a permit. To enter the lottery, submit your application by 5 p.m. MST on the first of the month four months prior to your desired start date. Results are posted three weeks later. Groups of up to six people have a better chance of getting a permit than larger groups. You can also submit multiple itinerary choices, which improves your chances of winning. Success rates dip to roughly 40 percent during peak travel months. To apply for a last-minute permit, visit the Backcountry Information Center in person the day before you’d like to hike. Permits cost $10 each, and there’s an additional fee of $8 per person every night you camp below the rim. Averse to carrying camping gear? Apply for the lottery at Phantom Ranch, a set of cabins and dormitories at the bottom of the Grand Canyon. To secure a bed, apply for the online lottery system 15 months in advance of your desired hike date. The hardest part of the Havasu Falls hike in the Grand Canyon is winning the campground permit lottery.